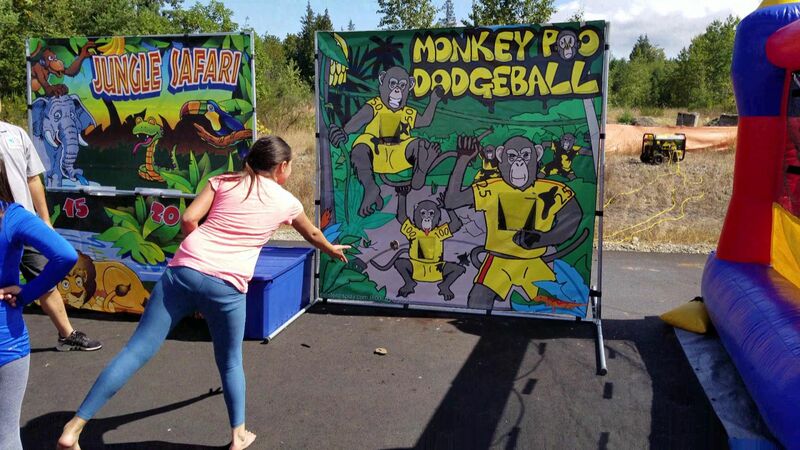 The Monkey Poo frame game is a carnival style toss game for kids and adults of all ages. 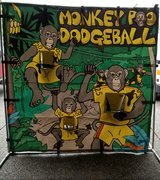 In this points based game, you throw piles of poo at the monkeys! This is a wild and gross game that is irresistable to kids. 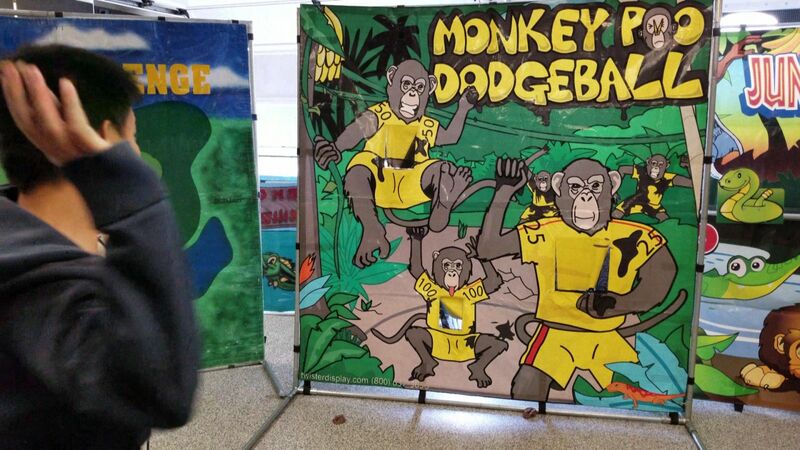 Game comes complete with rubber piles of "poo", which the participants toss at the mutant monkeys. Take aim and throw! The point scoring system makes for a fun and competitive game for all ages and will provide hours of entertainment.